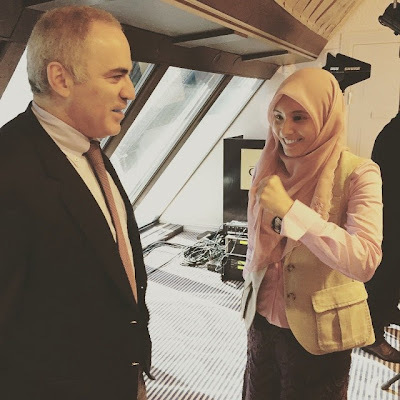 Peter Long on Chess: Garry Kasparov & Nurul Izzah! This is taking place from 25 to 27 May 2015 - the daughter of our jailed former opposition leader, a member of Parliament in her own right, is a speaker. What of course is of most interest to us is that she met on the sidelines with the 13th World Champion Garry Kasparov who is himself a long time and rather prominent advocate for Human Rights and I am sure it was not about chess!